From the moment your caravan or camper trailer leaves the showroom it will begin to suffer damage caused by weather, dust & grit, air-borne particles and exposure to the elements. This damage can decrease the life of your new van and eventually it’s resale value. At Dave Benson Caravans, we have found a solution that incorporates a complete protection package, that will improve the life, look and value of your caravan. 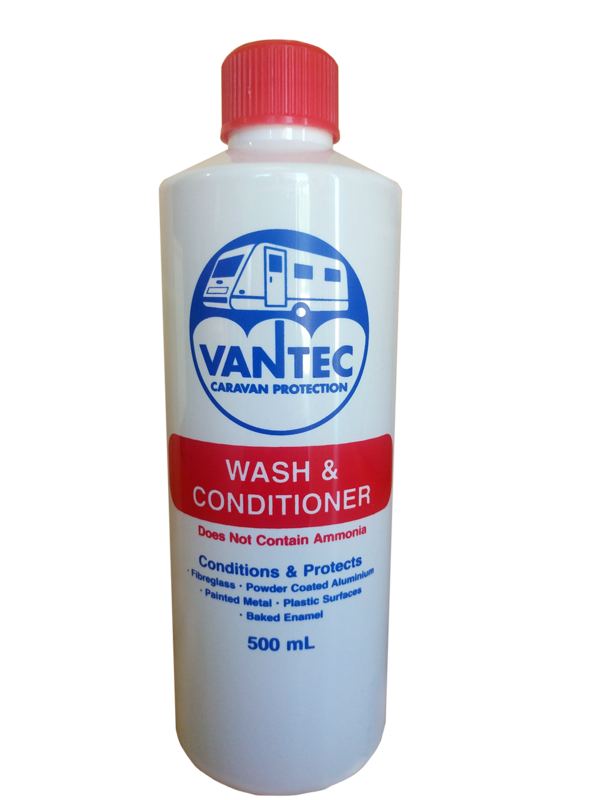 Vantec Protection’s one-time paint sealant for your caravan exterior ensures you will no longer need to wax or polish your caravan. It means low maintenance and more time to enjoy your leisure activities. Vantec Protection’s revolutionary paint preservation treatment locks in the original colour preventing chalking and fading and makes little work of cleaning off road grime, tree sap and bird droppings. Vantec Protection’s fabric protection offers a lifetime warranty against damage caused from staining. Every fibre is treated with an invisible coating to protect all furnishings including upholstery, mattresses, curtains, bedspreads, cushions & pelmets inside your caravan. Vantec Protection’s has treated thousands of caravans, camper trailers and pop tops and have proven treated caravans retain their fresh clean look up to 3 times longer than normal which ensures your van looks newer for years and years. All Vantec treatments are carried out onsite at Dave Benson Caravans. All Vantec Protection’s products are applied by our specially trained, skilled technicians. When it comes to application on the exterior, our specially trained technicians firstly remove grease and grime by washing the van. Then, we detail the van to remove any surplus silicone. Vantec Protection’s sealant is then applied directly on to the aluminium and fibreglass surface then left to cure. All fabrics inside the van are treated with Vantec Protection’s fabric protection including: curtains, pelmet boxes, upholstery, mattresses, bedspreads, bedhead and any other padding. Vantec Protection’s fabric protection is a superior product. This gives it strength and durability. Simply contact us for more information or make an appointment with one of our sales consultants to discuss your needs.